Schooner Fortuna is well known Croatian wooden sailing yacht measuring 33m. It was made in Marmaris in 1994 and completely refited in Croatia in 2006. The name Fortuna means- fortune- but it is also the Croatian (Dalmatian) word for strong wind. 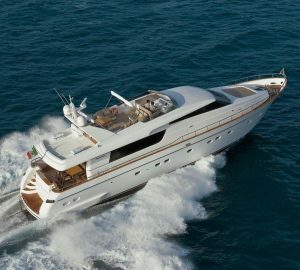 Fortuna is available for yacht charters in Adriatic Sea inlcuding Croatia, Montenegro and East Italian coast. 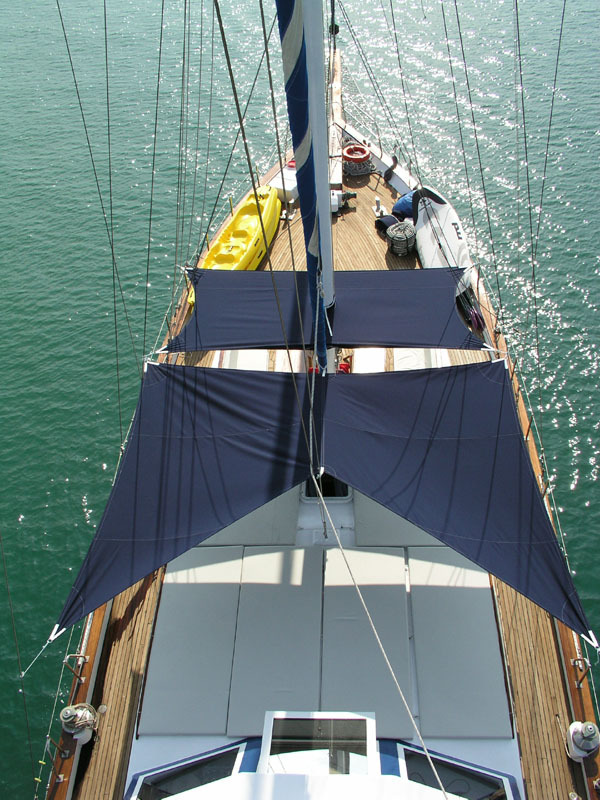 Yacht Fortuna is made from laminated mahogany, and perfect for sailing, equiped with two masts and gib, with outside and inside wheel. The salon of sailing yacht Fortuna features a bar, a sitting area and dining area with two tables as well as an LCD TV and DVD player. Besides the interior salon, there is also outside stern salon with a large dining table. The stern salon can be open or completely closed with a protective awning. A professional and experienced chef will prepare you excellent food from Croatian or international cuisine. On the bow, close to main mast is also sitting area with 2 tables for relaxing, enjoying an early morning coffee or a sunset cocktail. On the yacht forward is also a sunbathing area with large sunpads. Both the sitting area on the bow and sundeck can be shaded with a bimini. Schooner Fortuna can accomodate 14 guests in 7 cabins inluding 2 double bed cabins and 3 twin bed cabins, each with own bathroom and toilette and airconditioning unit that runs 24 hours a day. The cabins feature a central sound system unit and has a 220V socket. Beside chef there are also 3-4 professional and experienced crew members including a captain, sailor, stewardess and hostess (on demand) speaking English or Italian. 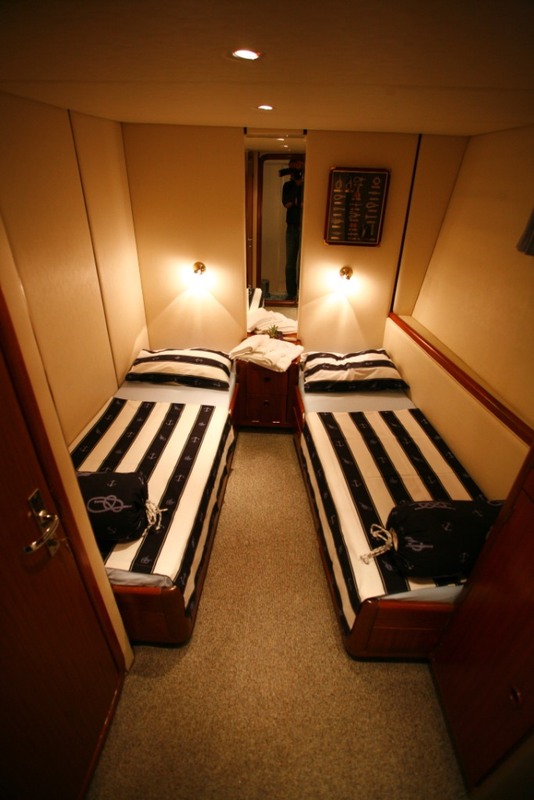 The crew is accommodated in own cabins with own facilities. 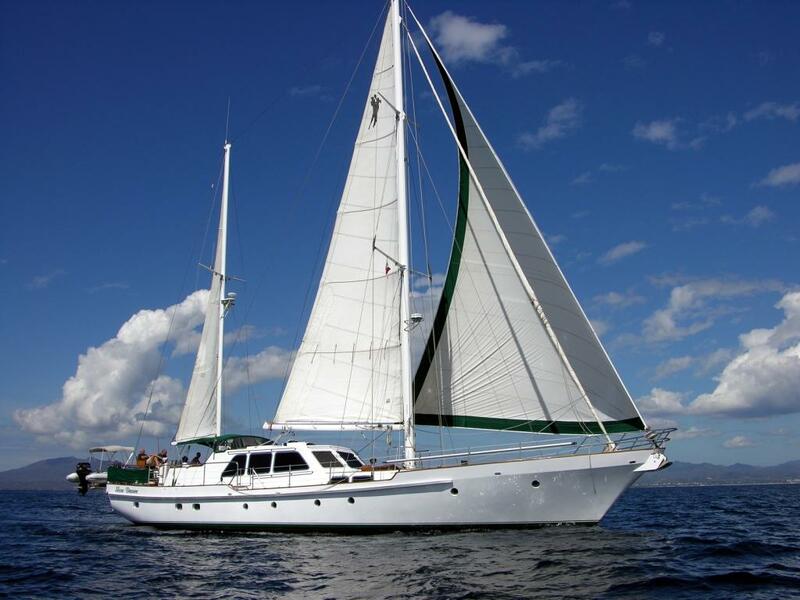 S/Y Fortuna features several toys for summer fun including a 2 seat kayak, tube, snorkeling and fishing gear, windsurf, skis for adults and children – pulled by 4,90m tender with 70HP outboard engine. S/Y Fortuna features several toys for summer fun including a 2 seat kayak, tube, snorkeling and fishing gear, windsurf, skis for adults and children – pulled by 4,90m tender with 70HP outboard engine. There is a TV, DVD, CD, Tuner, central sounds system in the Main Salon and an Internet Connection.